A few years ago on the front page of the Wall Street Journal there was an article by Stephanie Simon about artists who design miniature golf courses. She states, "For years, Seattle artist Jeremy Franklin-Ross made sculptures mostly for himself. Then he hit a sure fire way of drawing crowds: turn his art into a game. Franklin-Ross set up a miniature golf course in a Denver warehouse -13 playable holes. He and several friends had crafted a work of art." This past summer something similar was done in the Sheldon Art Galleries in Grand Center when arts and sport were combined in a unique playable 9-hole mini golf course called "Golf in the Galleries." The family course provided visitors with a challenging, immersive experience and was installed inside the beautiful Sheldon Art Galleries' space. Playable rain or shine, the course attracted over 10,000 visitors, with hole designs by artists and architects ranging from whimsical streetscapes with unexpected animal inhabitants, an Alice in Wonderland themed tea party and classic chess conundrum, to immersive structures including a wall of mirrors and a black-light rainbow environment. Underscoring mini golf's STEAM (Science, Technology, Engineering, Art and Math) attributes, the exhibit also included shoebox sized 3-D mini golf designs by 5th grade math students at the Wilson School. In the Central West End we have the World Chess Hall of Fame and Museum. The museum is the only institution of its kind and offers a variety of programming which explores the dynamic relationship between art and chess. It’s an art based institution which presents exhibitions of artistic and historical significance from nationally and internationally recognized artists and collectors. Chess, like art, is an expression of inspiration and creativity, warranting recognition as a vital cultural and educational resource in our community. A few years ago when the Chess Museum opened, our own Tom Friedman of international fame was featured. Friedman's chess set which he designed was displayed. He was influenced by Marcel Duchamp who saw art as a game to be played. Bradley Bailey, professor of art history at St. Louis University, organized an exhibition, a few years ago, at the St. Louis University Art Museum titled, "Marcel Duchamp Chess Master." He also co-authored a book, “Marcel Duchamp and the Art of Chess." The book is the first major study in the English language devoted to exploring how Duchamp's activities as a chess player affected his art. I started thinking of the many genre paintings at the St. Louis Art Museum that show people playing games such as chess and checkers and participating in sports such as ice skating, horse races, etc. I also remembered a conversation with Dominic Malon, past curator of CAM (Contemporary Art Museum St. Louis). He once talked of his love of sports. I asked him about the relationship between sports and art. He said, "A key difference between art and sports is that an artist's challenge is to exceed or reinvent art's rules, and an athlete’s challenge is to excel and create within their sport's given set of rules." He also states, "Art is much more about controlled and contained experiences that slow us down and prompt us to think longer and harder about things in the world. When art incorporates sports it slows it down to allow us to focus on the human elements but can't contain or convey the thrill of the game." This past summer the International Photography Hall of Fame and Museum in Grand Center had two special exhibitions on photography and baseball. The brochure for one of these exhibitions titled, "Baseball America's Game, Works from the Bank of America Collection” says, "Baseball has been an inspiration to writers and artists. The game appears in Mark Twain's "A Connecticut Yankee in King Arthur's Court" published in 1889, and in countless novels since. Artists from Thomas Eakins to Andy Warhol have rendered its pastoral (and commercial) charms. And thanks to illustrators such as Norman Rockwell, J.C. Leyendecker and Lonie Bee, baseball graced the covers of Colliers Weekly, The Saturday Evening Post and many other magazines of a time long past." There are articles galore on games and sports in art. Dr. Thomas P. Rosandich, President Emeritus of the United States Sports Academy in 2011 quoted the founder of the Modern Olympic Games, “The Olympic Games are not just ordinary world championships but a four-yearly festival of universal Youth, ‘the spring of mankind;’ --- multiple ambitions in all were as much a matter of art as athleticism." He used this quote in his article, "The Use of Sport Art for the Development of Olympic Education, "Passing the Visual Torch". Surfing the web gives the entire history of sports in art from Assyrian times where images of sports were carved in reliefs to artists such as Rubens who were inspired by Greek and Roman works such as, "The Charioteer" by Lysippos, and by the Greek urns and vessels. The history goes all the way to modern times and talks about skating scenes by Dutch artists such as Hendrick Avercamp and Rembrandt to Homer who did a series of male and female croquet players and on to George Bellows and his famous boxing scenes. The article goes all the way to contemporary times citing California artists such as Richard Cronk and Peter Blake who do works of roller bladers and skateboarders. Whether watching our St. Louis Cardinals or playing a game of chess at the St. Louis Chess and Scholastic center, I'm reminded of something else Malon said, "People appreciate art because it provides an important alternative form of communication about who we are, where we come from, where we ought to be going, and what the world looks like or should or could look like. People watch sports because it too is a visual spectacle that is simultaneously part of and separate from our living reality." Going to museums, sporting events and watching or playing games all keep me alive and feeling challenged. 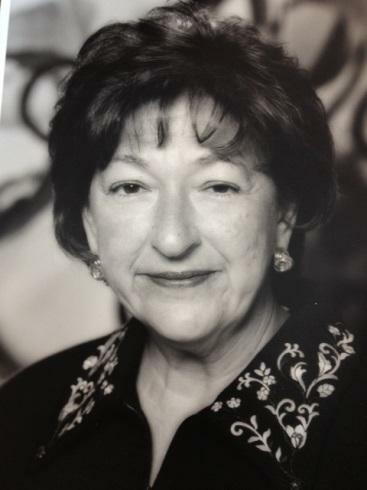 Nancy Kranzberg has served on the boards of numerous arts organizations for more than thirty years.